← RECOMMENDED: Erath 2009 Pinot Noir. 13.5% ABV, around $15. Well, I’m leaving on a jet plane tomorrow for the European Wine Bloggers Conference in Izmir, Turkey, of all places. Izmir is on the western edge of Turkey, on the Aegean Sea. I’ll be flying all day and landing at 2:00 Izmir time on Thursday. I’m terrifically honored to have received a fellowship to go. My heartfelt thanks to the sponsors at vrazon.com. I’ll be informally presenting my idea for a new international wine magazine and multimedia project to anyone who expresses an interest, and am looking forward to learning about a new-to-me culture. 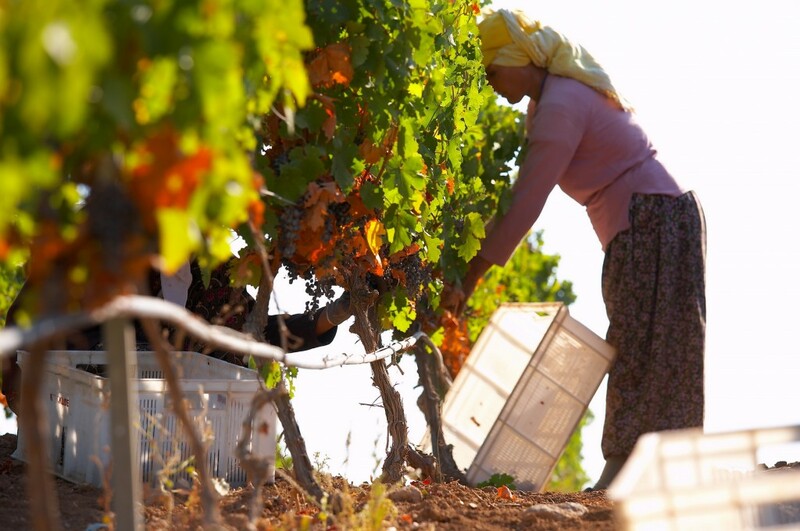 I’m particularly interested in how women wine professionals are faring in a Muslim nation, and what is happening regarding wine consumption itself. And of course, I’ll be tasting some fascinating new varietals! 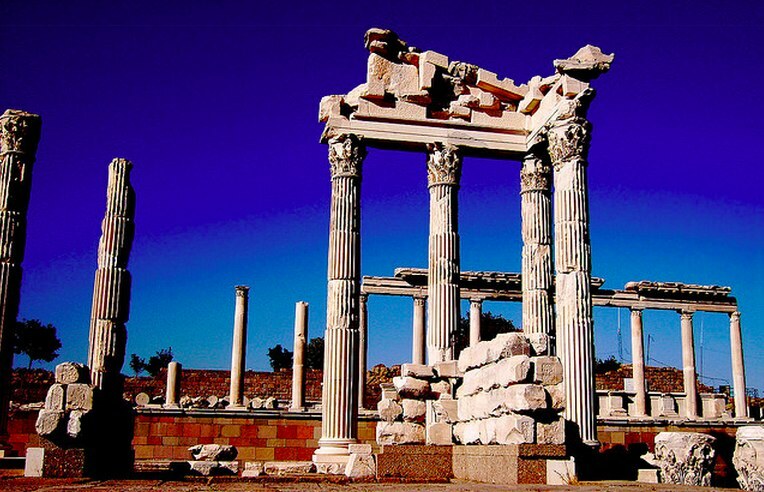 After the three days in Izmir, I’ll be leaving for a three-day excursion to Manisa and Denizli, where we will be exploring the area’s historical and winemaking sites and enjoying the beautiful countryside, its history, its people, and its cuisine. I hope to post updates, and I hope you enjoy them! This entry was posted in Awards, Travel, Visits to Vineyards/Winemakers. Bookmark the permalink. Can’t wait to see pictures. I hope you are having lots of fun and lots of great wine!!! Ah, the stories “The Frugal Wine Snob” is accumulating. For any followers who might be concerned …. she got caught in the Athena nor’easter that closed JFK for over a day and spent nearly a full day trapped along with thousands of other travelers there, sleeping on the floor without a coat (packed with her luggage). In order to make the Conference’s opening session, she switched to Turkish Air instead of Delta, made it to Istanbul and Izmir all right, but sans her checked bag! So if anyone sees pix of the Conference itself, our Frugal Wine Snob is the one wearing the same outfit (from Wednesday AM in Orlando, FL through Sunday AM in Izmir, Turkey) each day. But she is a trouper and innovative – washing the sole outfit each night and hand drying it with a hotel-supplied hair dryer! Her cell phone died (charger in the checked bag) before she arrived in Istanbul and the laptop she took along worked, and she had the AC adapter in carry-on, but the DC to AC converter was also in the lost checked bag. She borrowed a converter at the hotel and was able to sign on briefly once a day, just to let family/friends know she was more or less OK. Just as she was leaving the conference hotel on Sunday morning for the 3-day excursion to vineyards and antiquities, the lost bag arrived at the front desk – literally moments before she boarded the bus to depart. At last word (7 hours time difference East of Florida) she was checked in at a “Turkish Poets’ hotel” and scurrying to make the 8AM bus for the last day of her post Conference excursion in rural Turkey – don’t worry, she is hundreds of kilometers North of the border conflict between Syria and Turkey, though it is disconcerting to The Frugal Wine Snob to note the presence of weapons on shepherds out in the countryside. She departs Izmir Wednesday morning for Istanbul then to JFK and finally to Orlando with a scheduled arrival time of 9:26 PM Wednesday evening after 21 hours of travel time. She will have many entertaining posts re: the journey and the Conference, we’re sure. Thanks to all for following The Frugal Wine Snob.